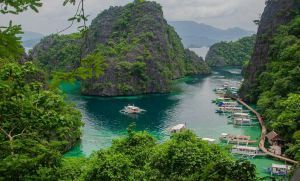 The Philippines is known for some of its awesome destinations, including Palawan and Boracay, but these aren’t the only places tourists visit when in the country. If you take a detour on the lesser-known paths, you’ll discover plenty of other hidden gems. One of these is Ormoc City. Never heard of it? Well, it’s about time you get to know the city known as the Beauty by the Bay. 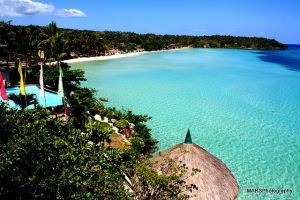 Like most tourist destinations with a unique moniker, there are perfectly good reasons why Ormoc is called as such. Ask anyone who’s been to Ormoc and Lake Danao will always top the list of must-visit areas. While most lakes have an indistinct shape, Lake Danao takes the shape of a violin or a guitar, as some would say. This should be interesting to watch on an aerial view, right? 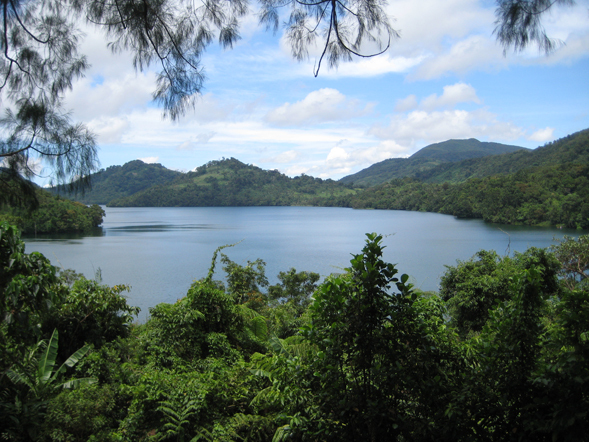 The lush mountains surrounding it, completes the stunning vista that Lake Danao provides. When visiting, you can choose to do more than just take in the view. There are floating cottages where you can enjoy a picnic, boats to hire for a cruise and a vast area suited for trekking. You can also go camping, biking, kayaking and fishing. Along with Lake Kasudsuran and Lake Janagdan, Lake Danao is among the three well-known lakes in Ormoc City. This is the oldest bridge in the city, built during the Spanish times and used as a docking area for traders. As the rest of Ormoc evolves, Punta de la Reina remains to be the last evidence of Spanish colonization, which is why it deserves a spot in the list of Spanish Bridges in the Philippines. While the bridge is short and looks fairly common, except for the cobblestone that it’s made of, it still provides a great venue for taking pictures or selfies. You’ll be taking home with you a part of history, after all. Found in Tongonan, LGPF is the largest geothermal power source in the Philippines, and the first to operate. It not only supplies energy in the whole region, but also parts of Luzon and Mindanao. From Lake Danao, you can see the white steam that rises from the plant. If you’re like most people, you’d want to take home a local delicacy from places you visit. In Ormoc City, it’s the Queen Pineapple. It’s known for its sweetness that is unlike any other. 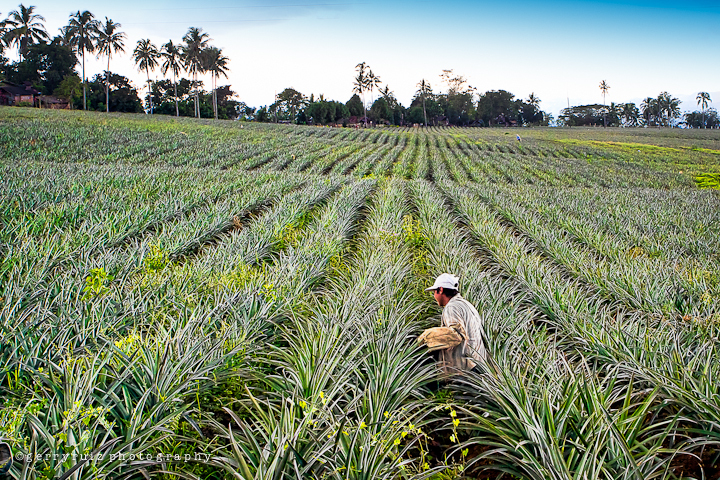 Get to enjoy plenty of it in a pineapple plantation in Brgy. Hibunawon. Because it’s a famous pasalubong (gift or souvenir), it has become the icon of the city, albeit unofficially. Have a penchant for playing golf? 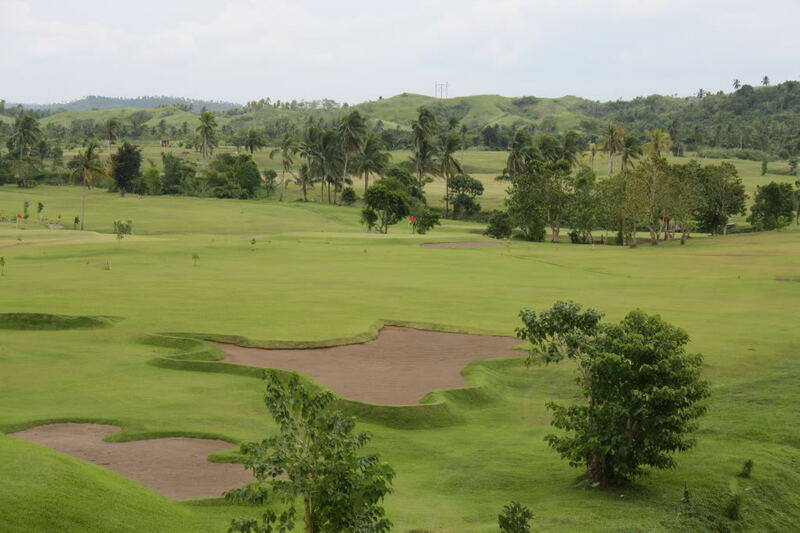 The Leyte Golf and Country Club will surely cater to the golfer in you. Covering over 80 hectares of rolling terrain, playing on the course is something you’ll definitely enjoy. If you book a room at Sabin Resort, an excellent accommodation with a panoramic view, it’s going to be a luxury vacation like no other. What else can you do during the rest of your stay? Have a picnic at the Centennial Park in the city, check out famous landmarks, including the Philippine-Japanese Peace Memorial, hang out at local watering holes, sample native cuisine in local eateries and buy cassava cake, among others. You see? There are plenty of things to see and do in Ormoc City.